Does my horse need a tetanus booster? If your horse has already had a tetanus injection, does he need a booster? Here, Nancy Homewood from XLVets Equine explains. In a nutshell, yes he does need a regular tetanus booster. It's hugely important that all horses are properly vaccinated against tetanus as it's found in the soil and can enter the body via a wound. The disease can be fatal and the current equine vaccination only offers protection for two years once primary vaccination course is completed. A vaccine stimulates the immune response to produce antibodies and other protective mechanisms to fight an infection. Over time, this immune protection wanes and that's why 'booster' vaccinations are given at regular intervals. 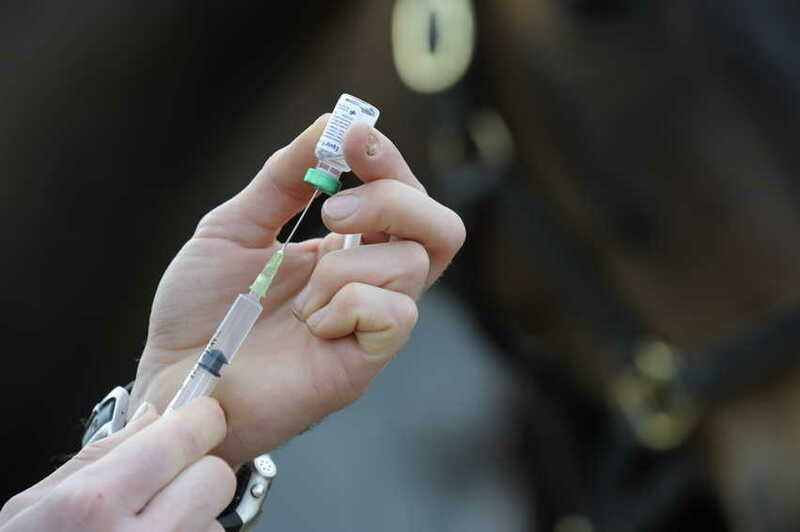 You should also consider having your horse vaccinated against equine influenza. Horses who regularly come into contact with others, for example on a livery yard or at competitions, are at higher risk of contracting infectious diseases like flu. If your horse lives on a private yard and never comes into contact with other new horses, then of course his risk of contracting flu is reduced. However, the risk is not eliminated as the influenza virus is airborne and can be transmitted without direct contact between horses. In summary, consult with your vet about the risks posed to your individual horse, based on his exposure to diseases that can be vaccinated against. Am I making the right decision having my horse put down? When do I need to worm my horse? Why is my horse so itchy? How can I keep a poultice on my horse? How do I treat a puncture wound? What are the benefits of a five-stage vetting? Why do I need to bring my horse slowly into work after an injury? How can I protect my horse's legs before and after competing? Should I be worried about atypical myopathy?